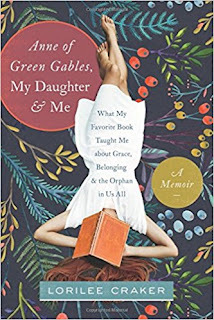 I just finished reading Anne of Green Gables, My Daughter, and Me (What My Favourite Book Taught Me About Grace, Belonging & the Orphan in Us All) by Lorilee Craker. It is a charming true story that weaves together the author's passion for Anne of Green Gables, her own adoption story, and the adoption story of her daughter. I adored this book right from the very first page. As the author takes us through her own journey and connections to Anne's story, it made me think of my own. 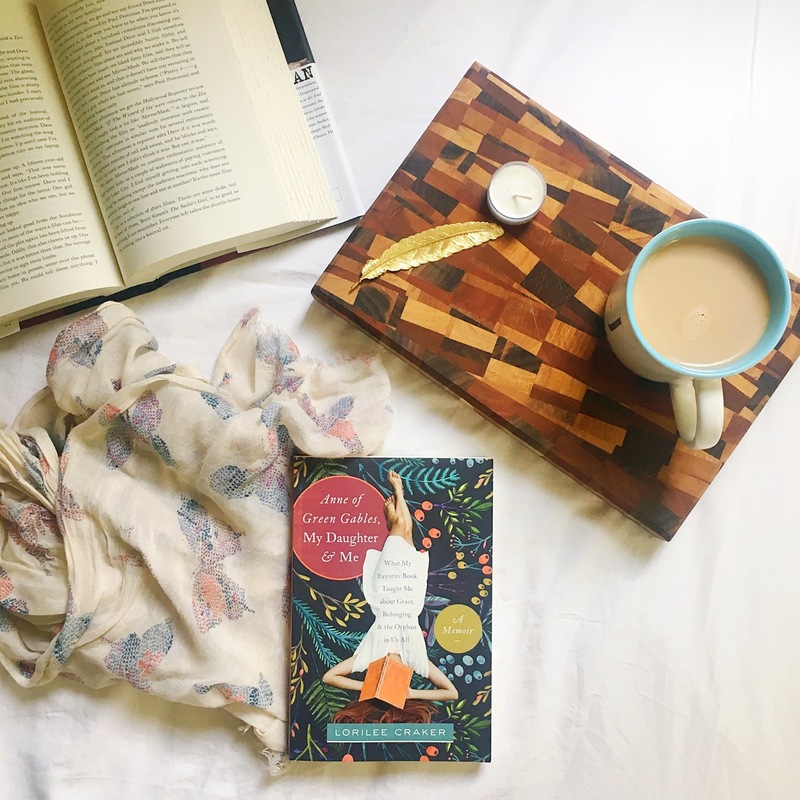 While adoption is not a piece of my story, I think we can all relate to Anne Shirley's struggle to find her place with the people she hoped to love, and she hoped would love her in return. Anne of Green Gables is possibly the very first book that I ever truly fell in love with (certainly Gilbert Blythe was the my very first book boyfriend), and I have always identified with Anne as someone who was never "popular", who disparately yearned for close friends, and as someone who sincerely enjoyed school. Any Anne of Green Gables fan will love revisiting many anecdotes from the novels, and I also learned more about Lucy Maud Montgomery herself. We used to live in New Brunswick, right around the time I was first falling in love with Anne, and my parents took us camping a handful of times to Cavendish, PEI. We visited Green Gables, Lucy Maud Montgomery's birthplace, the beautiful red beaches, and Craker's memoir brought back many of those childhood memories for me. The writing in this book is beautiful. The author's stories and prose brought me to the brink of tears multiple times (saved solely because I was reading in public). And chapter 7! This one just pulled at my mama heart so much. The chapter on Gilbert Blythe/Jonathan Crombie gave me all the feels. All of them. I fell in love with Gilbert all over again and, again, mourned the much too early loss of Jonathan Crombie. Anne of Green Gables, My Daughter, and Me has filled me with the desire to re-read all of her books, re-watch all of the movies, and travel back to PEI. While a trip to Prince Edward Island is not likely to happen in the near future (although I promise myself to return one day), I have made it a priority to visit Lucy Maud Montgomery's Ontario home. It's not too far from me, and it is where she wrote, among others, two of the Anne novels - Anne of the Island (1915) and Anne's House of Dreams (1916). "Through Anne, Maud speaks volumes about the desire we all have to belong and to matter to the people we love." I don't know how some gems get lost in the mountain of publishing, and you likely won't find this book in your local library (I know the Toronto Public Library doesn't have a copy), but I promise you won't be disappointed adding this one to your permanent bookshelf. It is available for purchase from Amazon and Chapters Indigo.